Reporter Tim Pool said he's leaving Milwaukee because "it's too dangerous for white people." 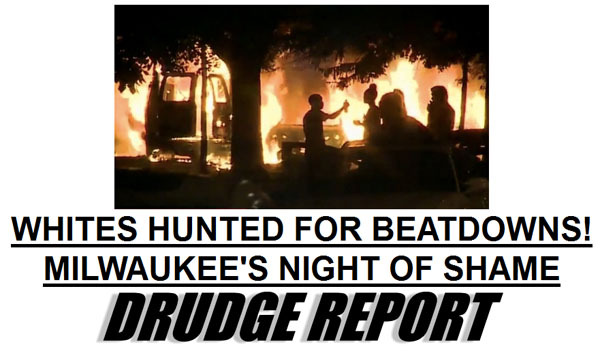 "Things started getting really tense when the protesters started chanting, 'Kill white people!'" Pool said. "After hearing it was a white kid who got shot I think that for those who are perceivably white it is just not safe." Pool said even though he's half Korean he looks too white for him to be safe. The 18-year-old white man who was shot at one of the protests was rumored to be a Black Lives Matter supporter. The latest report from police indicates he's going to survive. Milwaukee's police chief says an 18-year-old man suffered a single gunshot wound to the neck during unrest on the city's north side, but that his life is not in danger. The man, whose name has not been released, was shot late Sunday during a demonstration to protest the killing of a black man by a police officer a day earlier. Police have said officers used an armored vehicle to retrieve the injured man and take him to a hospital. Police did not say who shot him, but that they are looking for suspects. The lying media is trying to blame the riots on "segregation," which isn't enforced by any law, but instead by choice. If you're wondering, that's the end. They didn't actually "back up his claim" black people are afraid to walk through the white parts of town, which is literally comical, they just confirmed whites are afraid to go into the black parts of town where blacks are calling for their murder and hunting them down in the street. What a bunch of crazy racists these white people are! 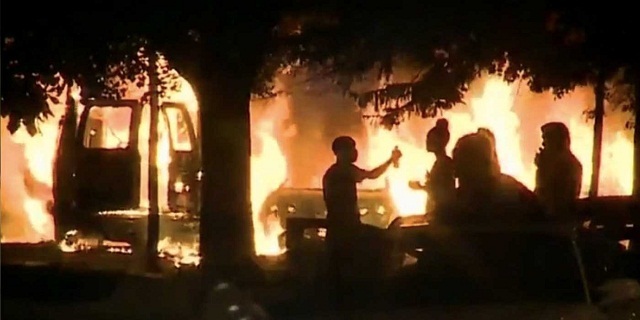 As we all know, it's white people's fault black folks took over the city demographically, voted in democrats, and are now burning the place to the ground. 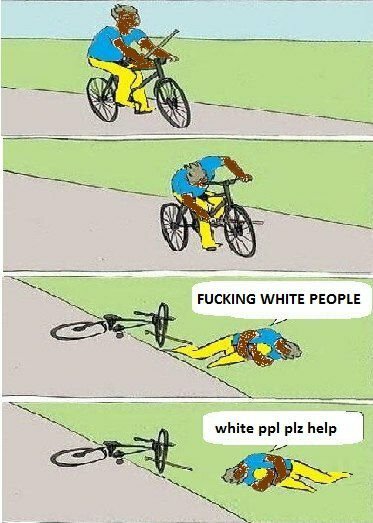 If you racist white people would just give them even more welfare, on top of the city you've already fled from, everything would be working out just great.